This article is about Children's Hospital Los Angeles. For other similarly named hospitals, see Children's Hospital (disambiguation). For other uses of the CHLA acronym, see Chinese Hand Laundry Alliance. Children's Hospital Los Angeles (CHLA) is a non-profit, pediatric academic medical center located in the East Hollywood district of Los Angeles, on Sunset Boulevard at the corner of Vermont Avenue. Founded in 1901, it is the largest regional referral center for children in critical condition who need life-saving care. Each year, it cares for nearly 140,000 infants, children and young adults by providing more than 350 pediatric programs and services. 4650 Sunset Boulevard, Los Angeles, California, U.S.
CHLA is ranked as the No. 6 hospital by U.S. News & World Report and is the No. 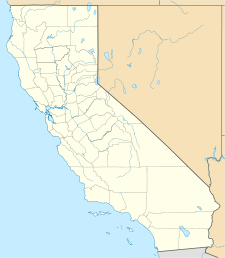 1 ranked hospital for children in California. It has also received Magnet Recognition from the American Nurses Credentialing Center. 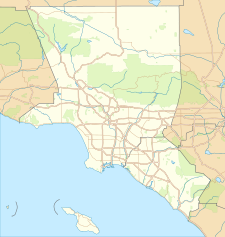 While most of the children admitted come from Los Angeles County, others come from the seven-county area near Los Angeles that includes Kern, Orange, Riverside, San Bernardino, San Luis Obispo, Santa Barbara and Ventura counties. Additional referrals come from elsewhere around the world. CHLA also has five outpatient specialty centers (located in Arcadia, Encino, Santa Monica, South Bay/Torrance, Glendale, and Valencia), as well as dozens of specialty physician offices across the Los Angeles Area. Children's Hospital Los Angeles is home to The Saban Research Institute, one of the largest and most productive pediatric research centers in the Western United States. The institution conducts laboratory, clinical, translational and community research designed to investigate the developmental origins of health and disease. More than 400 faculty collaborate to combat cancer, heart disease, brain disorders, autism, obesity and diabetes, among other devastating pediatric conditions. The hospital is the eighth most productive center in the nation, as measured by its funding levels from the National Institutes of Health—which provides highly competitive grants to researchers. Training programs include 364 medical students, 277 student shadowers, 93 full-time residents, three chief residents and 127 fellows. For the past 19 years, 96 percent of those graduating from the CHLA Residency Program passed the American Board of Pediatrics exam on the first attempt, well above the national average of 75 to 80 percent. The hospital has been academically affiliated with the Keck School of Medicine of the University of Southern California since 1932. Physician leaders all hold faculty appointments at USC. The president and CEO is Paul S. Viviano who joined the institution in August 2015. Children's Hospital Los Angeles has a bridge across Sunset Boulevard. The hospital's main bridge connects its north and south sides of its main campus with a bridge that crosses Sunset Boulevard, an iconic thoroughfare that not only traverses Hollywood and a major section of Los Angeles. The 40-ton, 117-foot-long walkway bridge was bolted into place above Sunset Boulevard between Vermont Avenue and Rodney Drive in October 2012 and was dedicated in March 2013. Construction of the Los Angeles city landmark was jointly supported by two of Los Angeles' most significant philanthropists, Cheryl Saban, PhD, and Marion Anderson, who, along with their spouses Haim Saban and the late John Edward Anderson, jointly funded the $10 million project. ^ "Medical_Specialty_Areas". Children's Hospital Los Angeles. Archived from the original on 26 December 2010. Retrieved 2008-10-05. ^ "Best Children's Hospitals 2010-11: The Honor Roll - US News and World Report". health.usnews.com. Retrieved 21 October 2010. ^ "Children's Hospital Los Angeles". nursecredentialing.org. Archived from the original on 9 July 2010. Retrieved 21 October 2010. ^ Robbins, Gary. "UC San Diego Health chief leaving for LA". The San Diego Union-Tribune. The San Diego Union-Tribune. Wikimedia Commons has media related to Children's Hospital Los Angeles.